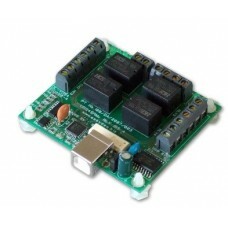 This low cost, general purpose, USB powered card has 4 opto-isolated relays and four general purpose digital I/O channels. 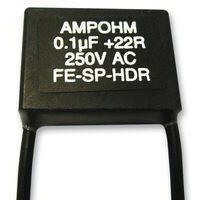 The relays are high sensitivity (gold contact) signal relays (30VDC@1A). Access to all relay contacts and the 4 DIO channels is via fixed screw terminal block connectors along the edge of the card. 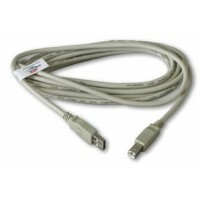 Suitable for a wide range of control and signal switching purposes, it also offers screw terminal access to the USB power connections for possible onward powering/use in your target system . 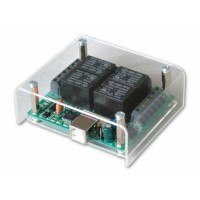 The card comes with +5V & relay channel LED status indicators. Nylon feet are fitted in each corner which will take self tapping screws. They can easily be removed to allow the cards to be mounted on pillars or stacked. 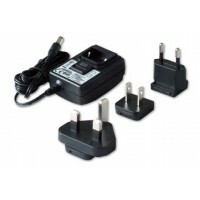 There is also a perspex cover available which offers general protection of the card and prevents accidental contact with any of the relay contacts or screw terminal connections. 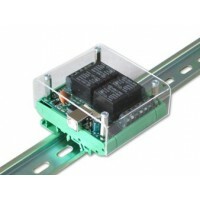 In addition, there is a DIN rail mount/cover option available.